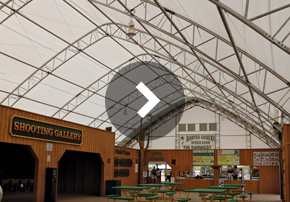 ClearSpan structures are a fast, economical solution for aviation and aerospace facilities. These buildings offer unique designs that provide exceptional height and extraordinary clearance. There are no internal columns to interfere with aircrafts or heavy machinery, allowing for ease of movement and the storage of aircrafts and equipment of any size. Our clear span aviation buildings provide an inviting, sunny environment that people enjoy working in, and the natural ventilation provides workers with a constant supply of fresh air. From aircraft hangars, air cargo facilities, ground support buildings, equipment and baggage storage areas, helicopter hangars, terminals, sealed buildings and more, ClearSpan provides a customized solution to meet your aviation and aerospace building needs. 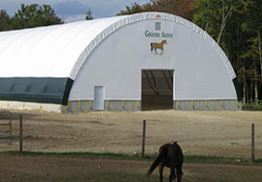 Our aviation buildings come in fabric, hybrid and metal buildings, ensuring that no matter how you plan on using your ClearSpan structure, there is an ideal option.